The Burlington Township Fire Department congratulates our Fire Official Matt Tomaszewski upon his successful completion of the National Fire Academy Executive Fire Officer Program. The program provides senior fire officers with a broad perspective on various facets of fire and emergency services administration. The courses and accompanying research examine how to exercise leadership when dealing with difficult or unique problems within communities. The program consists of four graduate and upper division baccalaureate equivalent courses taken over a four year period. 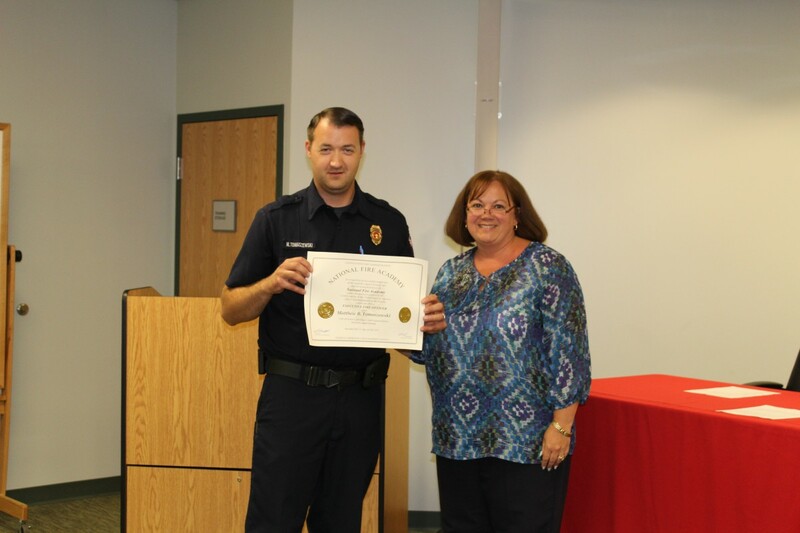 Matt was presented his certificate at the July 27 Board of Fire Commissioners meeting from Commissioner Deborah Painter.